A quick springtime treat just using 3 ingredients: fresh strawberries, whipped cream and twinkles. Find your bowl for dessert. 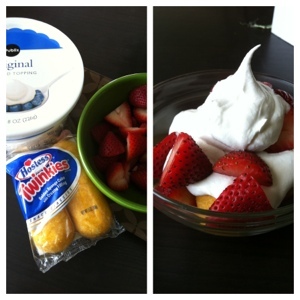 Layer your ingredients starting with the twinkies, whipped cream then strawberries. Now eat it!